But of course, you wouldn’t get one just as a fashion accessory. So what does it do actually? 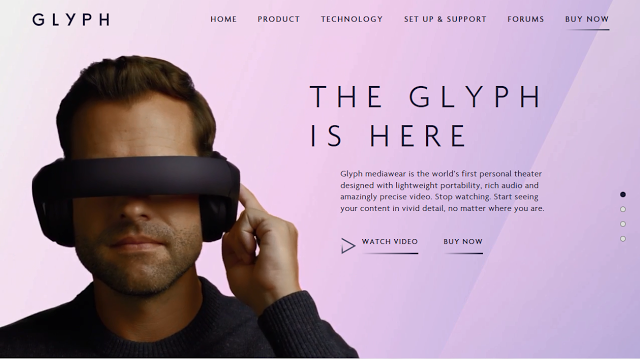 Glyph is a viewer for media, especially 360-degree photos and videos, and compatible 3D content. The Glyph can be used with any source with an HDMI output. To view 3D, it must be in 720p, side-by-side format. Currently, Glyph is fully supported by Jaunt, with 3D and head-tracking. For other content, it’s like seeing a giant virtual screen. 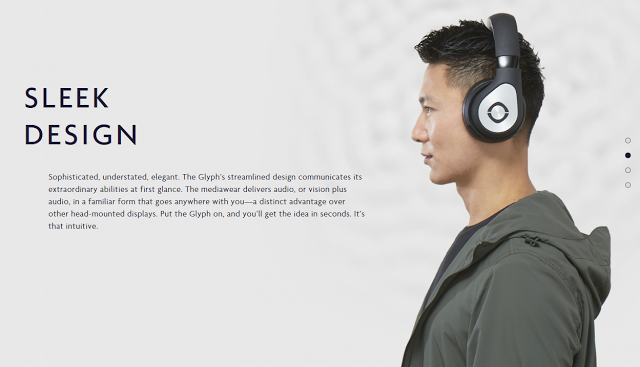 You can purchase the Glyph directly from Avegant’s site.